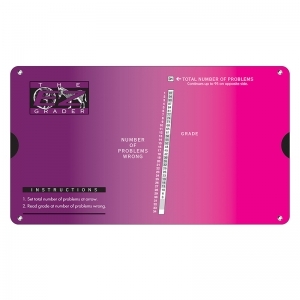 This slidechart is the same size as our popular "Original, Pink or Purple", but is done in a beautiful graduated color. 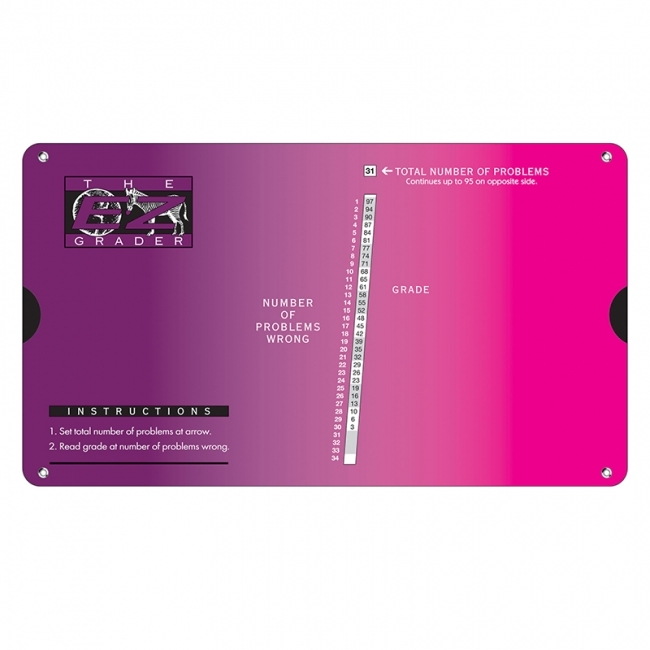 This Ombre chart starts with Byzantine, which is a rich tone of purple toned towards Magenta. Scores any number of questions up to 95, with up to 34 incorrect. Actual size is 8.5" x 4.75". 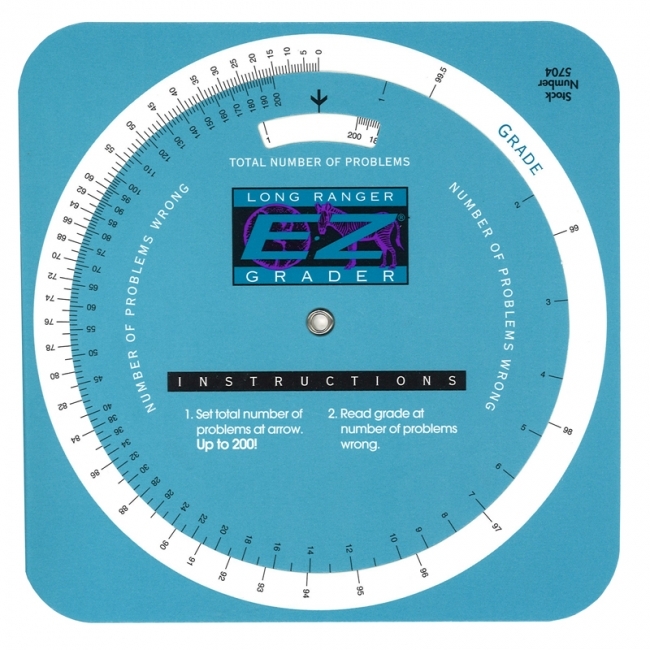 Saves time and effort when grading homework, tests or quizzes. That's Correct! E-Z Grader will save educators time and effort by showing the number of problems correct when percentage scores are not needed. This is a large print chart. Grades are given up to thirty problems correct or incorrect on tests up to seventy total problems. Shows correct number of problems, does not show percentage scores and is not based upon percentages. The product that started it all, our Original E-Z Grader is still one of our best sellers. It's durable enough to withstand the battles of classroom instruction, and powerful enough to calculate grade percentages for up to 95 problems! This is a must have for all teachers! Purchase one for home and one for your classroom. 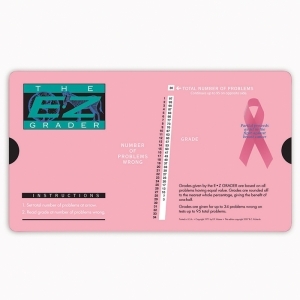 We've joined in the critical fight against breast cancer with our "Pink" E-Z grader. For each "Pink" sold, E-Z Grader donates partial proceeds. 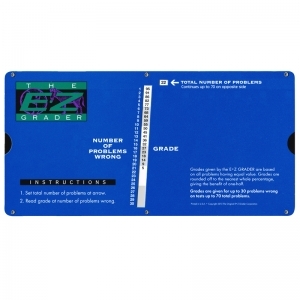 It's durable enough to withstand the battles of classroom instruction, and powerful enough to calculate grade percentages for up to 95 problems! This is a must have for all teachers! Purchase one for home and one for your classroom. 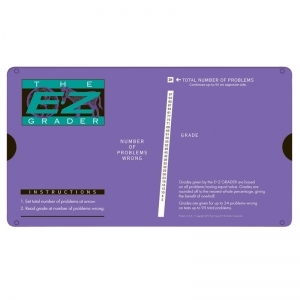 E-Z Grader Purple works the same as our best selling Original E-Z Grader. 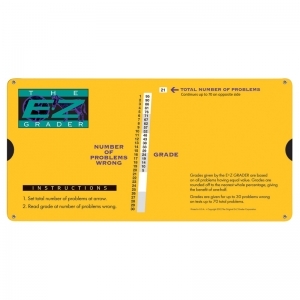 It's durable enough to withstand the battles of classroom instruction, and powerful enough to calculate grade percentages for up to 95 problems! This is a must have for all teachers! Purchase one for home and one for your classroom. 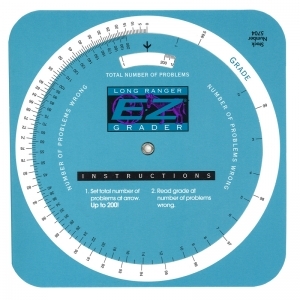 Developed in response to the demands of our Original E-Z Grader fans, the Long Ranger E-Z Grader calculates grades for activities with up to 200 problems... more than twice the number of problems the Original edition can handle. 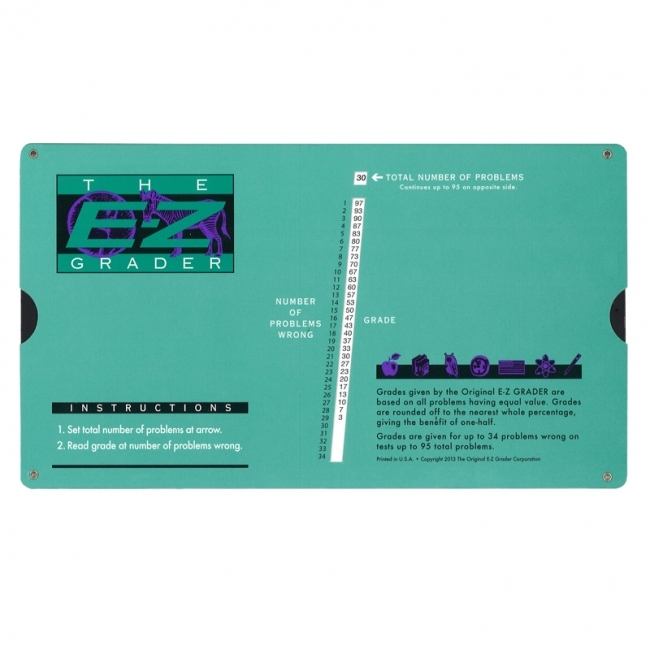 Made with the same attention to detail and durability that our products are known for, all made in the U.S.A.
Large Print E-Z Grader - This enlarged chart has larger print and measures 10"x5". 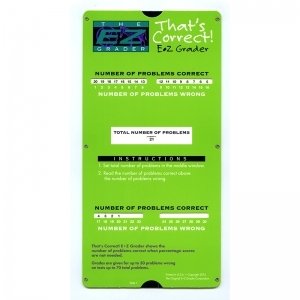 Score any number of questions up to 70 with up to 30 problems incorrect. 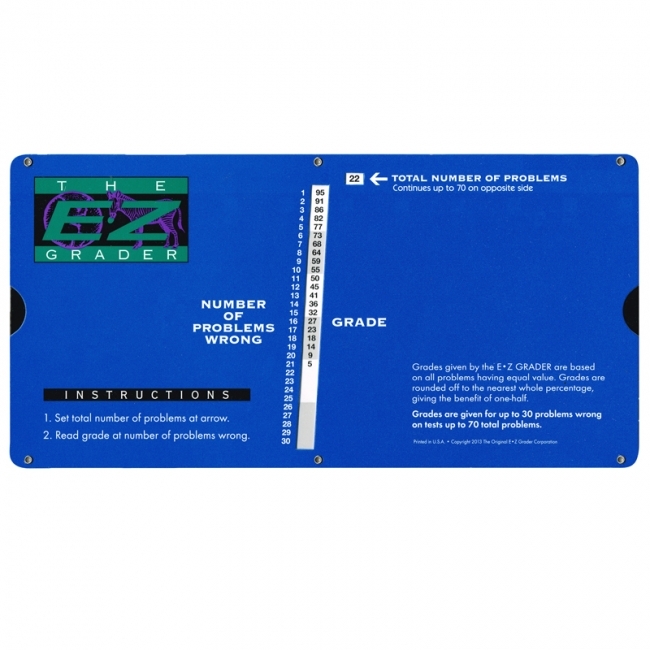 We are proud to introduce the latest addition to our line of quality slide charts for the educator, the Large Print Royal Blue E-Z Grader. Scores up to 70 problems with up to 30 problems wrong. Actual size is 10" x 5". Weighting assignments to calculate final grades can be an exhausting task for any teacher. 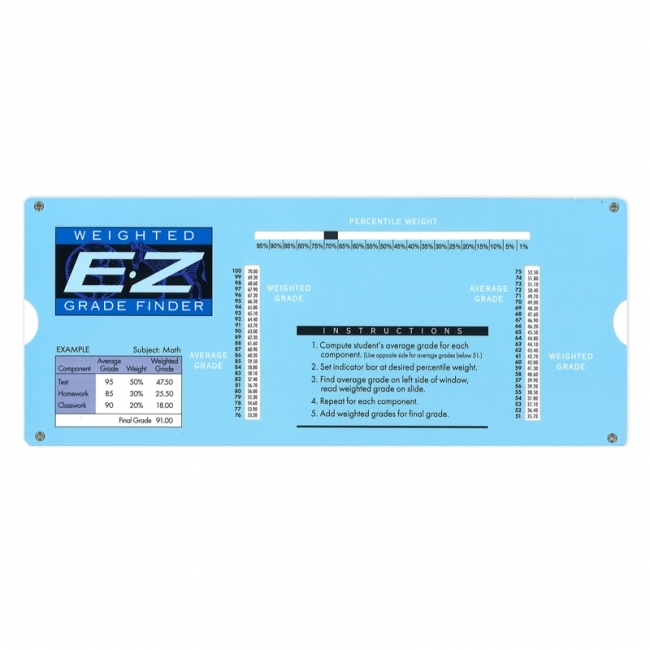 The E-Z Weighted Grade Finder works with you to easily weigh assignments and calculate them into final grades.To illustrate, a student scores an 85 on an assignment worth 30% of his or her final grade. 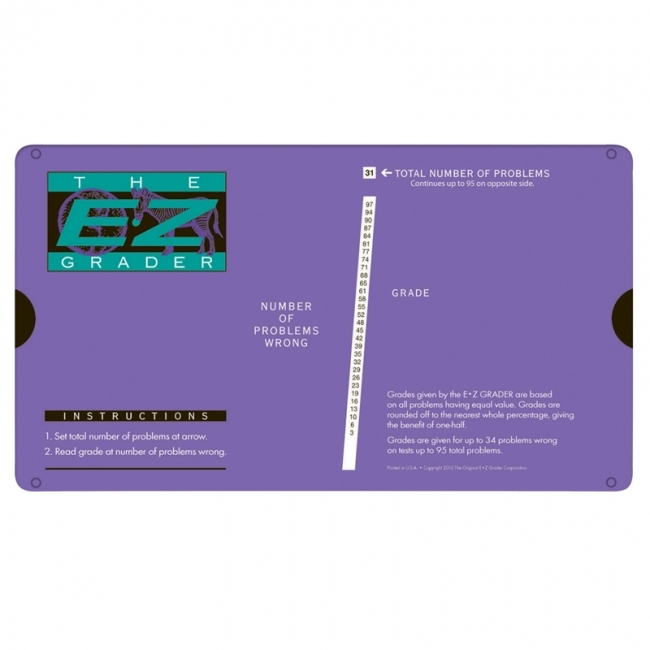 By using the E-Z Weighted Grade Finder, we easily see that an 85 is equivalent to 25.5 points in the total grade calculation. This product is a dream come true for anyone with weighted assignments.